I am having a problem printing Benchy with Slic3r. It's kind of like a layer shift except that it's more like the model got scaled larger on 3 sides. I don't have this particular issue with Cura so I think it's a configuration problem but maybe it's a hardware issue? I've checked everything I can think of to verify that it's tight, including the belts. I've attached my Slic3r config. Has anyone run into something like this before? If I had to guess, I'd say your Z-axis is binding. And it's prominent in Slic3r, because it drives Z on max. speed settings, which is too much for the stepper at the binding-point. The same line is visible in the third pic, but there it looks like the tension that causes binding sprung free. Thanks for taking a look at my problem. Since this is a delta, would that mean that all 3 stepper motors are binding? Do you have any advice for tracking down the cause of binding? Sorry, I'm pretty inexperienced with 3D printing. 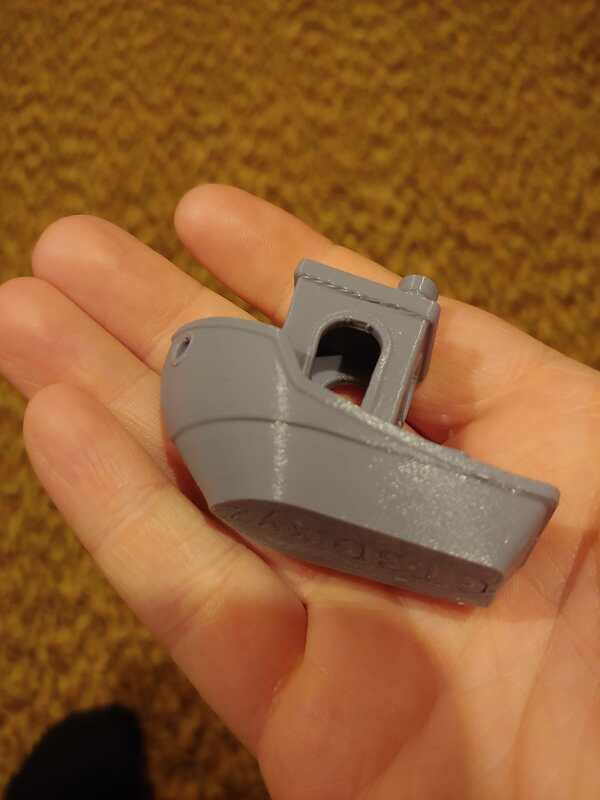 Ah, yes, the Benchy "waterline". I also saw this exact problem when I switched from Cura to Slic3r Prusa Edition. In my case it was due to insufficient running of the cooling fan. I had the default fan settings, and right at the level of the "waterline" is where the solid deck starts printing. This caused Slic3r to completely disable the fan for those layers because the time per layer was very long. This seems to cause this problem. I fixed it by changing the fan settings so the fan is always on and increased the minimum fan setting (except for the first layer) to at least 50%. This pretty much eliminated the "waterline" for me. I had worse luck with Prusa Edition although I may have misconfigured it, I didn't spend more than couple hours with it. 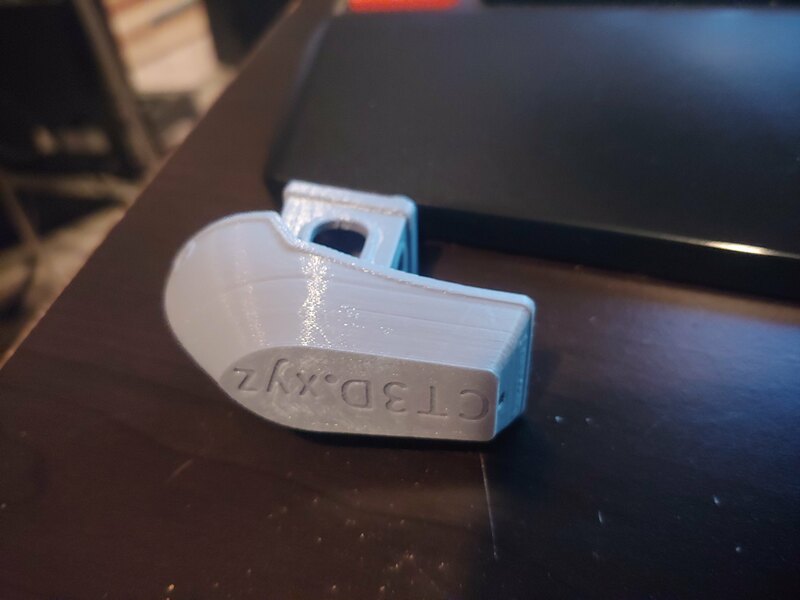 I decided to keep using Cura and I eventually solved the problem! The issue was the Combing feature, it was set to "All". This feature disables retraction under certain conditions. 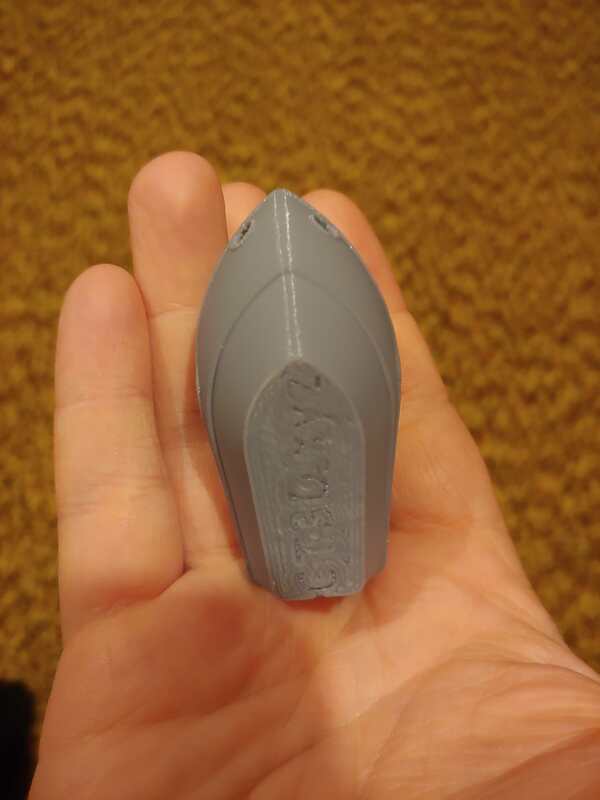 Well for me it would travel over the perimeter area without retracting and the filament would ooze slightly. This caused a gap the next time the print head went over said perimeter. Setting Combing to "Off" eliminated the oozing while traveling (because it would simply retract), now benchy looks great!